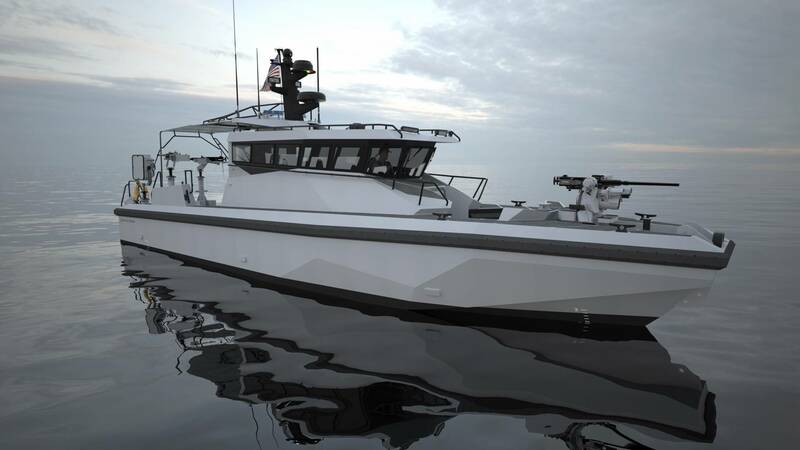 Shipbuilder Metal Shark will be showcasing an array of new products and technology at this year’s International Workboat Show in New Orleans. On the technology front, Metal Shark is bringing a new 32-foot Defiant pilothouse vessel equipped with “Sharktech” autonomous technology developed in concert with autonomous technology developer L3 ASV. Metal Shark has partnered with Cox Powertrain to bring the world’s highest-powered diesel outboard to military, government, and commercial markets. Delivering 300 horsepower at the propeller, the CXO300 is the world’s highest power density diesel outboard engine and is set to revolutionize global markets. The four stroke V8 diesel CXO300 offers up to 25% more range compared to gasoline outboards and is designed to last up to three times longer. The engine combines the simplicity and economy of an outboard installation with greatly improved safety and reliability achieved by eliminating the need for highly volatile gasoline. Metal Shark will be at the Morial Convention Center in New Orleans. The 2018 International Workboat Show runs from November 28th-30th, 2018.